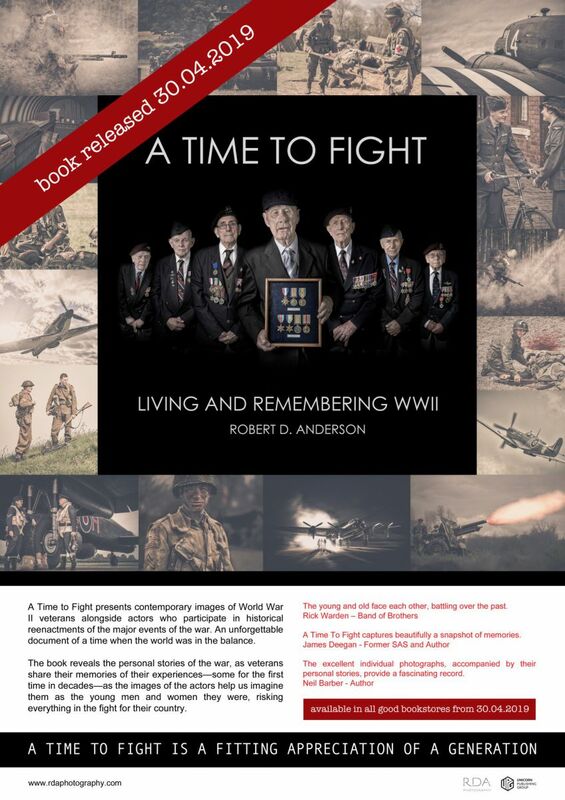 To coincide with the launch of A Time to Fight, author and photographer Robert D. Anderson will be having several tie in exhibitions of his photographs from the book at various locations in Kingston and Inverness. Kingston History Centre – 29 March to 29 June 2019. Click here for more information. Highland Archive Centre – 1 May to 28 June 2019. Click here for more information. Kingston Museum and Gallery – 18 July to 21 September 2019. Click here for more information. ‘My uncle fought the rear-guard with the Argyll and Sutherland Highlanders at St Valery; he fought for most of the next 5 years with the 51st Highland Division, and my biggest regret is that I never spoke to him about his experiences in WW2. In the next decade or so the memories of those that fought will disappear from living memory. A Time To Fight captures beautifully a snapshot of some of those memories’ James Deegan, MC Former SAS RSM and Author.